Pick up some Fat & Juicy Mix at a store near you! Fat & Juicy Daiquiri Mix is your favorite pair of flip-flops and a light breeze to take it all in with! We designed our daiquiri mix to be enjoyed on the rocks with either rum or vodka, and created it using 'fat and juicy' strawberries and our signature hint of fresh basil and lime zest, building upon this tradewinds classic! 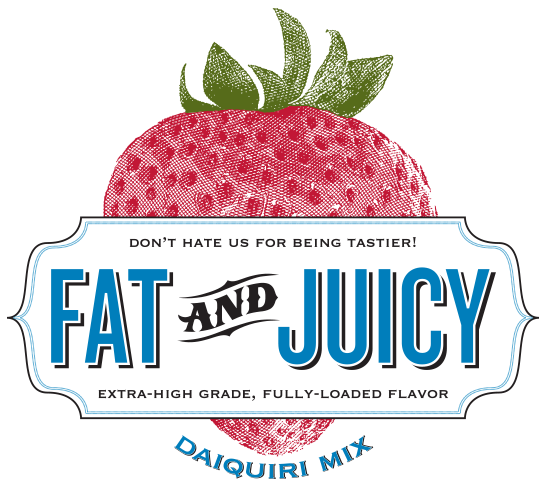 Fat & Juicy Daiquiri Mix is perfectly blended to deliver berry-kissed awesome in every sip! Fat & Juicy ... Road Tested & Tailgate Approved!! Mix contents, kick back, and enjoy!! Copyright © F&J Beverage Company, LLC. All rights reserved.